Meet Aldo, Cyrus, Riica, Amy, and Feinne. 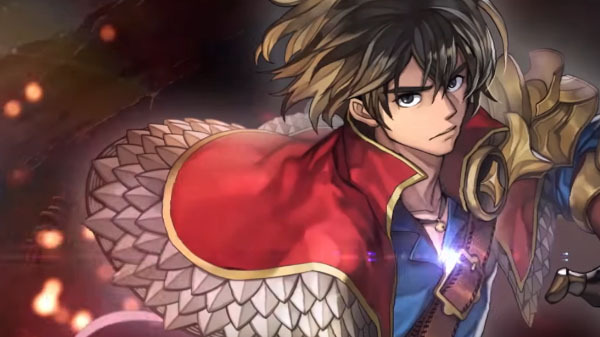 WFS has released a new trailer for Another Eden: The Cat Beyond Time and Space introducing the characters of the upcoming smartphone RPG. Aldo – A young man caught up in a doomed fate. Cyrus – A knight with the appearance of a frog. Riica – An android with a heart. Amy – A troubled hunter from the future. Feinne – A girl who holds the power to save or destroy the future. Another Eden: The Cat Beyond Time and Space is available now for iOS and Android in Japan, and is due out in the United States, Canada, Australia, and Asia on January 28. Read more about the game here.